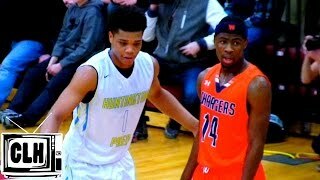 Malik Newman and Miles Bridges traded some insane baskets in the Huntington Prep vs Callaway game at Mustang Madness 2015. Callaway got the victory over Huntington Prep who was undefeated coming into the weekend. Malik finished with 35 points. Full highlights from this game coming soon. LiveSportscaster Broadcasting News, by LiveSportscaster.com: updated automatically with a curated selection of articles, blog posts, videos and photos. Jerami Grant 2014 NBA Draft Workout in Los Angeles. Jerami Grant is a projected first round pick in the 2014 NBA Draft because of his length and athleticism.